Pet friendly and safe for children. Why choose Southwest Greens Hawaii? In Hawaii, protecting our ecosystem is a top priority. Our artificial grass lawns and putting greens are the perfect way to preserve the home you know and love without the extensive upkeep. Not only will you be able to improve your golf game and increase the value of your home, but you will also reduce the use of harmful lawn chemicals, saving time and money in the process. Our synthetic turf is the perfect addition to your residence or commercial property. If you have ever dreamed of a beautiful lawn, golf green or patio that will stay green year-round, then our artificial turf may be the perfect solution for you. Our professional team can customize your lawn or putting green to fit your desires. We can even install your artificial turf on your schedule so it’s ready when you need it. If you are interested in a personal putting green, artificial turf will help put you at the top of your game. Our turf offers true ball roll, low maintenance and eliminates the need to fill divots so you can spend more time focusing on your swing and less time taking care of your green. Many people worry about the high temperatures that turf can carry. To combat this, most of our synthetic turf products can be installed with HydroChill. HydroChill is a UV-resistant cooling system that works to keep your turf cool without affecting the performance of your artificial turf. It does this by absorbing moisture from rainfall, dew and humidity so that this liquid can be released when it is needed more. 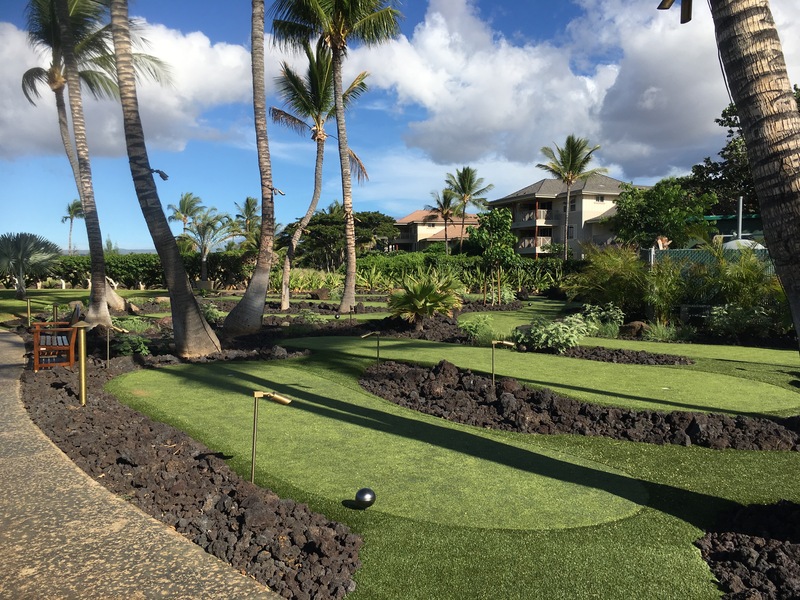 Southwest Greens is one of Hawaii’s most trusted leaders for sale, design and installation of synthetic grass landscaping and artificial golf green solutions. Our innovative turf products can improve your game, add to the comfort of your backyard, reduce your monthly maintenance costs, and help to drive business – all while looking and feeling just like natural sod. If you are ready to install an artificial grass lawn or putting green at your home or business, contact Southwest Greens Hawaii and get a free consultation. The HydroChill system has been proven to work in actual outdoor settings by providing a cooler playing surface. 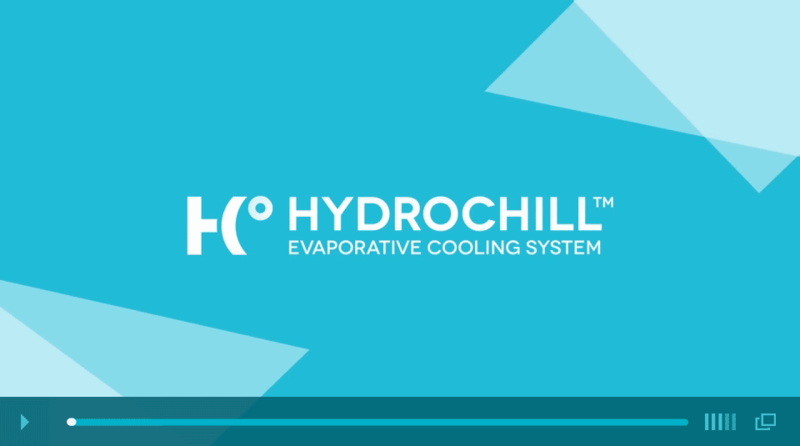 HydroChill utilizes moisture to provide a cooling effect. Rainfall, dew or irrigation can help keep the turf cool for days, depending on local conditions. HydroChill can be incorporated into most Shaw Synthetic Turf infilled systems. HydroChill will not affect the performance characteristics of synthetic turf and will not affect the warranty of any Shaw Synthetics Turf products. Practice like the pros while avoiding green fees and long commutes to the club or course! It's easy to do when you let Southwest Greens Hawaii give you unbeatable golf course style greens. Professional athletes who know exactly what a green should play like have tried our product. "The golf green the professionals at Southwest Greens designed equals any we see every day on tour. The way the ball rolls and how it reacts to chip shots is fantastic. I can practice my short game in the comfort of my own home any time. Two thumbs up."